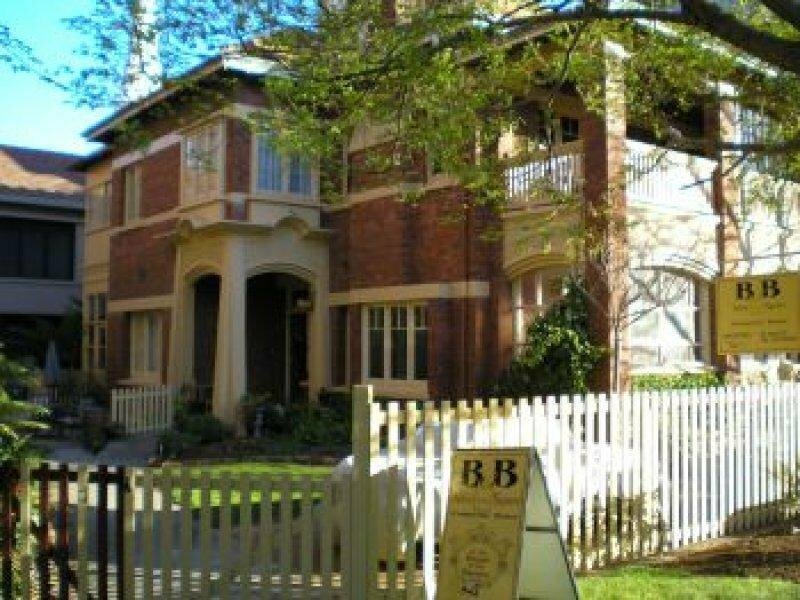 “Circa 1906, this stunning example of a Federation Queen Anne residence sits proudly on George Street, only seconds from the CBD, and enjoys views over the city and river beyond. 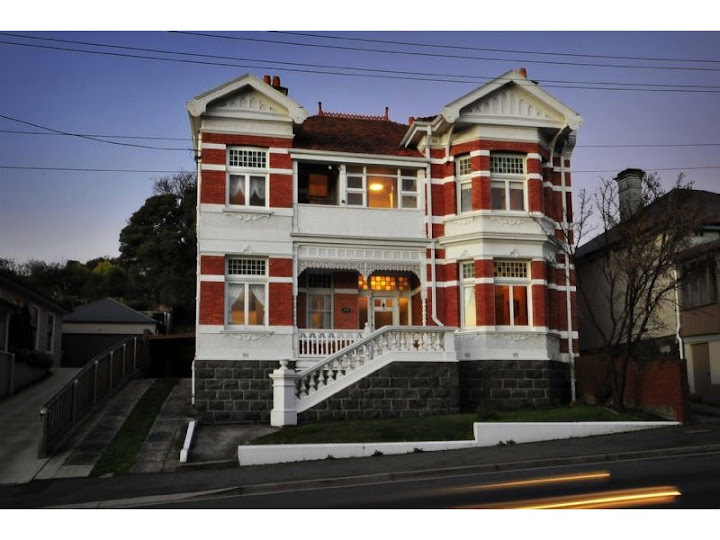 Constructed over two levels, this solid brick home was built by J and T Gunn for the Ford family, prominent Launceston shoe retailers, and has been in the current ownership for a substantial amount of time. 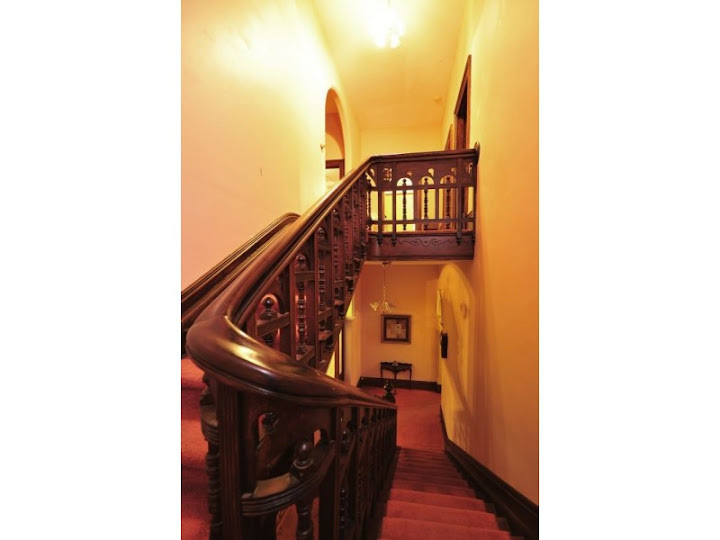 “Boasting period features including;- gable roof, decorative ridge capping, finials, bay window, high ceilings, stained glass windows, plus a spectacular staircase. “Situated on a surprisingly generous sized block of some 1150m2, the property offers 5 bedrooms plus dressing room and study, incredibly spacious lounge rooms (one on each level) plus a modern kitchen and three bathrooms. 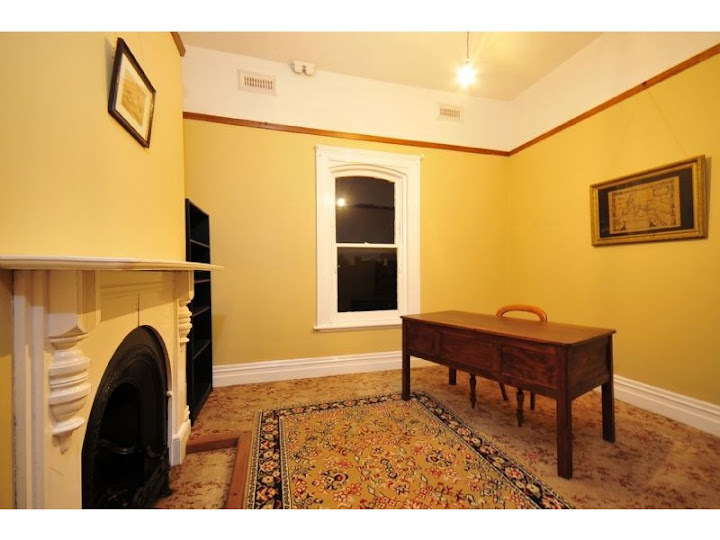 “In the best part of the city, and with lovely North Western views, this property sits slightly back from the road and is most likely one you have driven past and never even noticednow is the time to take a closer look. 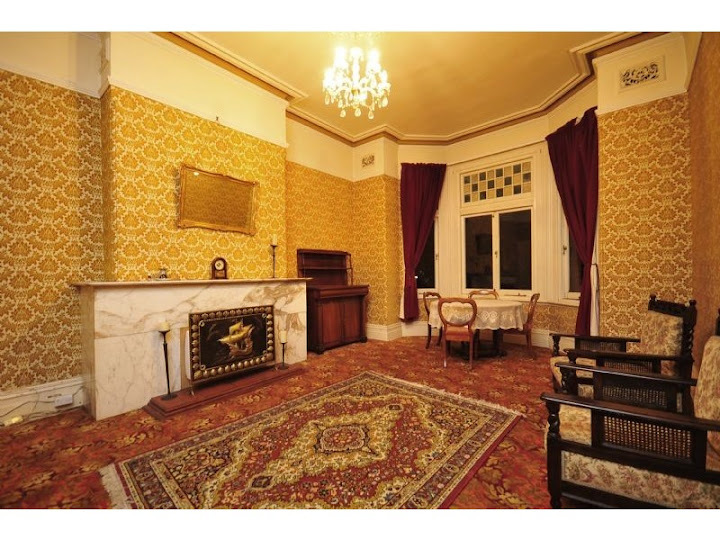 “A property once fit for the Mayor of Launceston we are certain there is not a comparable property currently on the market showcasing such grandeur and the sheer size that “Highbury” grants to one lucky purchaser. “Built between 1907-1910 for Charles Metz MHA, by builders J & T Gunn and later the home of Launceston Mayor Frank Boatwright, Highbury has a dominating street presence looking down at you from above Upton Street behind a 8ft bluestone wall. 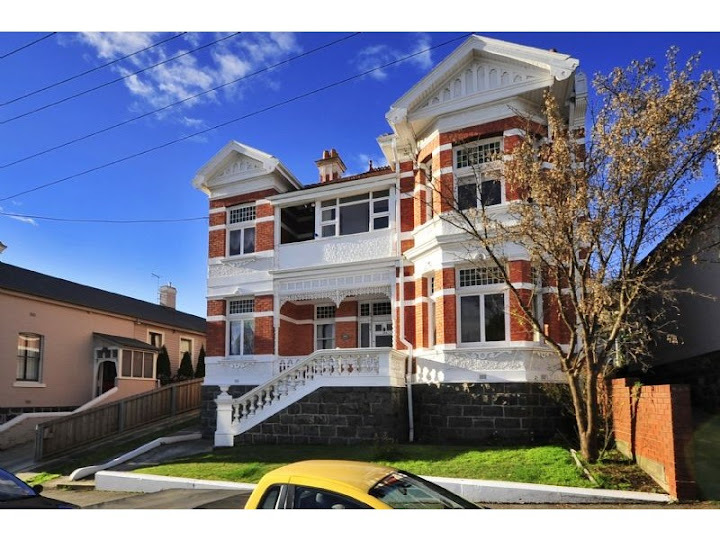 Located on a one way street, this property is “out of sight, out of mind” although can be seen as an iconic landmark at many vantage points around Launceston – you really do have to view Highbury in person to understand the potential this property has to offer. 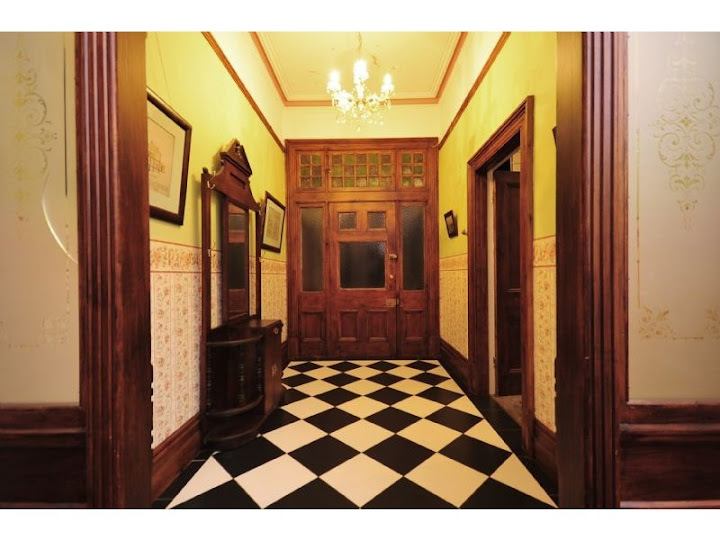 “Spanning over three floors, the 49 square home has been left in original condition throughout many of the rooms and features beautiful felt wallpaper, ornate 12ft ceilings, hardwood mantles and ceiling roses just to name a few. 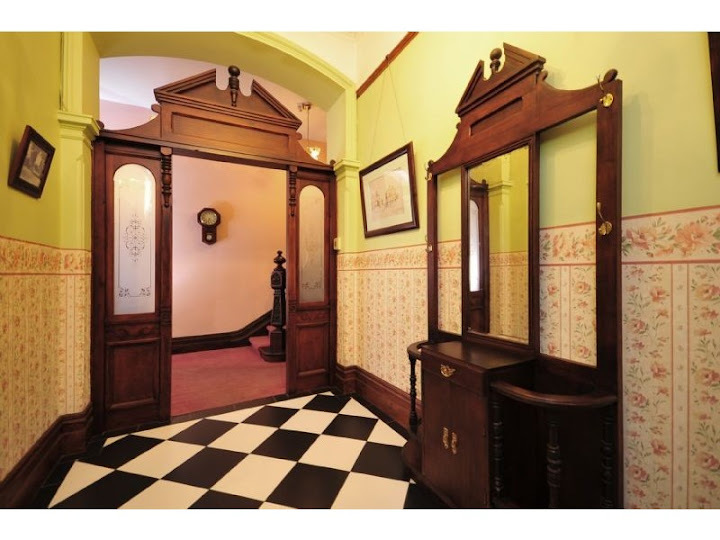 Whilst these features are common place in historic homes throughout Launceston, it is rare to find a unregistered home with such an abundance of beautiful features as these. 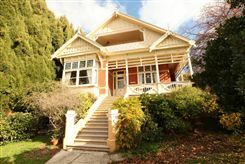 “The main level is enough of a house itself; four living rooms including formal and informal dining, two family rooms, two bedrooms, two bathrooms and beautiful deck looking out towards the Launceston CBD – but it’s upstairs which really sets Highbury apart from the rest. Four bedrooms all large enough to be the master bedroom but the real surprise is the master bedroom itself with a undercover deck and 180 degree views – to wake up to this outlook you really would feel like you’re the king, or queen of Launceston. 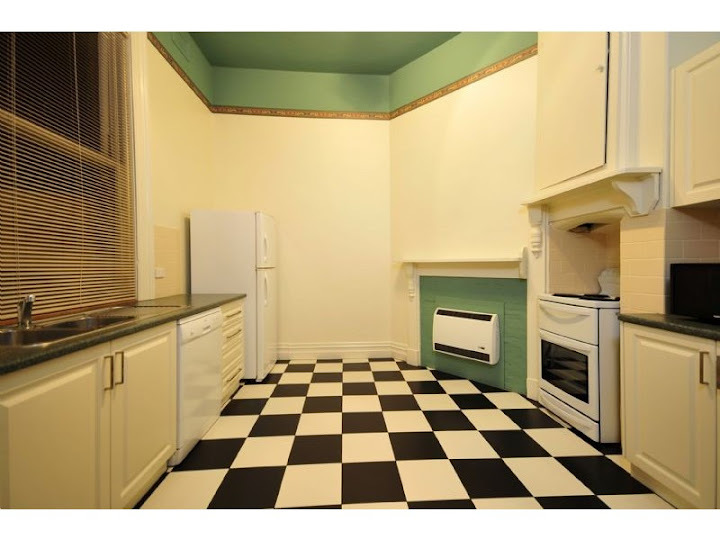 “If six bedrooms aren’t enough there is a separate self-contained two bedroom unit located on the top level with its own external access if you were to rent the unit, reside a family member or the perfect teenager’s home away from home. “If you’re concerned about storage, trust us, you shouldn’t be. Below the main level you have 60m2 of rumpus and workshop including a wine cellar and toilet in case you want to hide away from the family – we call this the “man cave”. Parking concerns? again you shouldn’t worry as the property has off street parking for up to 6 vehicles and an abundance of space to build a garage if required on a block spanning 1224m2. 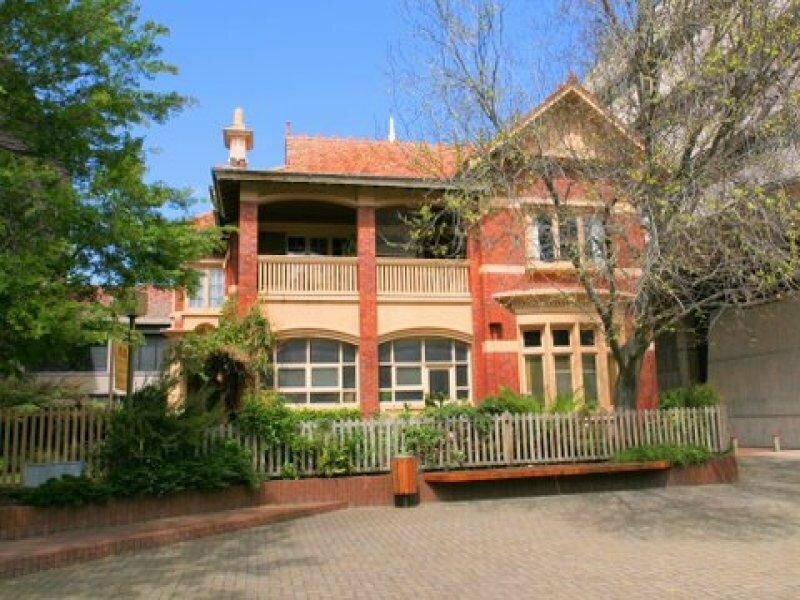 “A wonderful opportunity to purchase this iconic Civic Square property. Constructed in 1915 in the Queen Anne Federation style the property was originally built for Dr Irvine as his house and surgery. 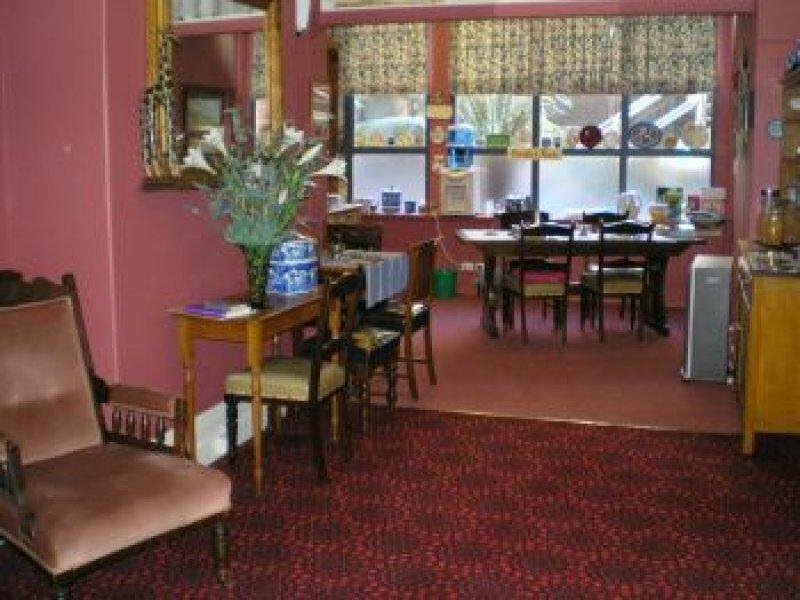 Today, it successfully operates as Airlie On The Square Bed & Breakfast. The title also takes in a strip of land to the western side of the building providing space for four parking bays with informal laneway access from Charles Street. Our vendor also has informal approval for low impact car access from St John Street to allow for parking of additional vehicles certainly a fantastic asset in the centre of the Launceston CBD. 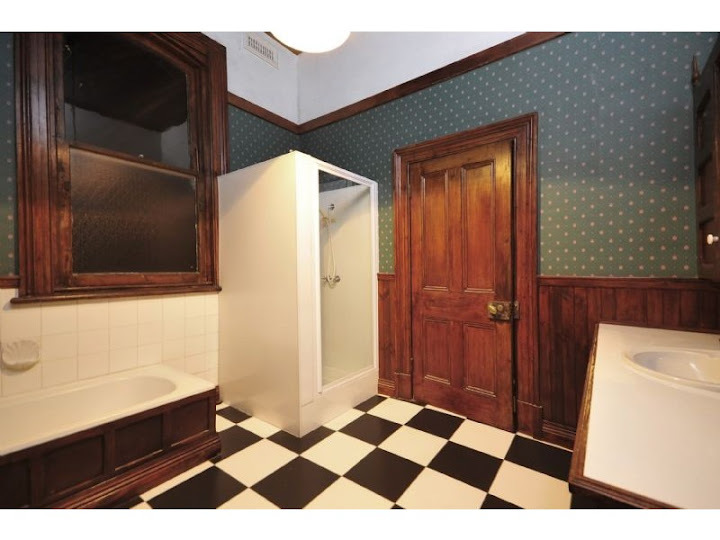 This inner city location is highly prominent with high levels of foot traffic. 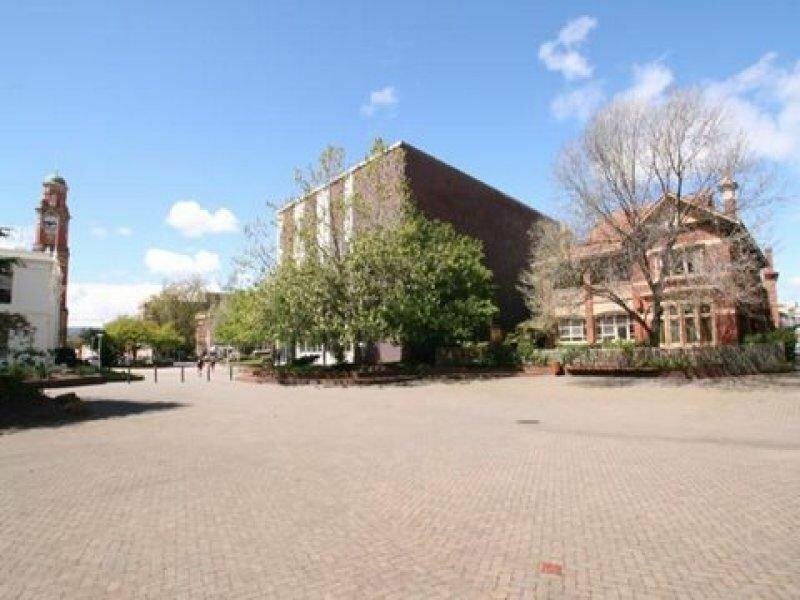 Neighbouring public buildings such as Henty House and the Town Hall the property would be an ideal business premises. 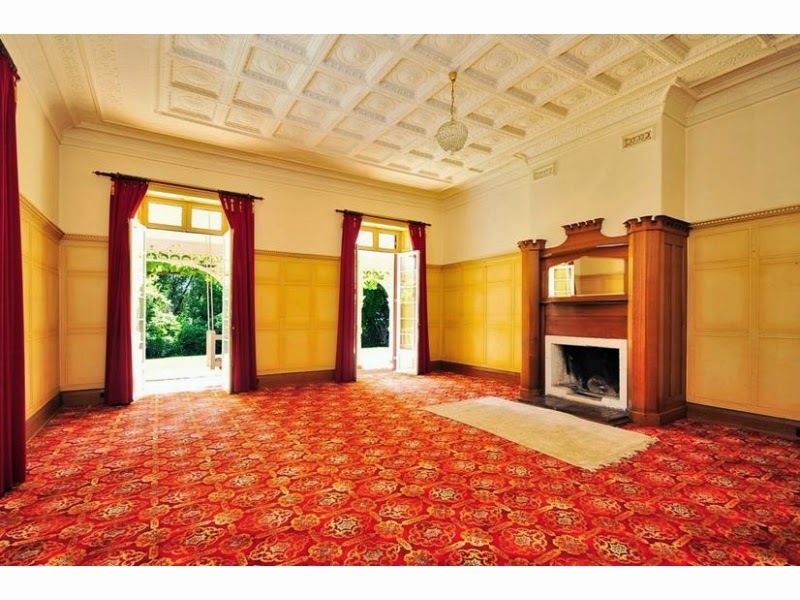 “The rarest of treasures are often the most difficult to find and Claremont circa 1843 is one such prized jewel!” Read more at Property Observer.